Mods cannot change the underlying game genre. Short for custom modification, mods can increase the value of a computer game, and are often encourage by the game developer and distributor. Mods can be downloaded from fan sites ; In cultures around games that are heavily modded, a non-modded version of the game is called a vanilla version. A hobbiest who develops content to change one or more aspects of a commercial off-the-shelf computer game (a mod). Modders are often very dedicated to their activities, and can work in elaborate teams, often virtual, and spend more time modding than their full time job. Some modders aspire to be professional game developers, but many more just love the activity. Some rise to cult status in a given community. I wrote in an column called "Measuring Success," that unless a training group was earning increased funding and promotions, all other metrics were fairly irrelevant. With that idea firmly in place, it is worth discussing a slightly less Machiavellian point. Using hard "excel-able" metrics to measure increases in [fill in blank] that came as a direct result of formal learning programs are great, but always difficult, especially as when dealing with Big Skills. Many programs use other, sub-optimal options. 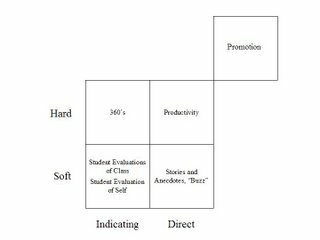 We have an assumption that hard/indirect is better than soft/direct (I think), and that seems a shame. We also have an assumption that it is better to impact everybody in class in a little way, than a few people out of a class in a transformation way. That logic might be right, but we should accept it consciously not unconsciously. Big skills share a lot of interesting properties. One is that they are simultaneously relevant for individuals, work groups, organizations, even industries, states, and countries. One big skill is the ability to apply the right models, including governing, economic, and value. This includes an intellectual componenet, understanding different options, and a doing component, successfully implementing it. Think of the following lists, in the context of your career, your role in a given project, the training function as a whole, what your entire organization is doing, and what you did yesterday. This week in a delightful discussion group called Business Creativity (an international but essentially Indian Yahoo group focused on Human Resources), the moderator challenged the list with a multiple choice question in the form of a human resource case study problem (essentially, whether or not to grant paid leave to Don, an employee seeking to further his education on company time). This provoked some interesting feedback, but most of the contributors stayed strictly within the implicit reasoning of the initial choices. I see this exercise as a first phase of creative thinking, and this for three reasons. As in most multiple choice questions (and many case studies) there is no developed context, which means the intangible, invisible aspects of social reality are absent and we are condemned to work at the level of abstract principles, which never apply “cleanly” to reality, but do provide some “reasoned guidelines” (unfortunately in our pedagogical tradition nobody ever makes this capital point about the relativity of the principles we are meant to learn). In people management, there are plenty of wrong answers but never a totally right one (precisely because of context), yet multiple choice in the teaching-learning tradition leads learners to believe, first, that there is one right answer; second, that the trainer knows that answer; and third, that we will "know" that answer for eternity at the end of the exercise. Multiple choice questions limit the horizon if we use them as a strict frame for reflection, but their value can be to open the horizon by showing that there are indeed multiple possible answers. They can start the brainstorming process going by challenging people to imagine the variables of context that will influence the best selection of strategy. Doing it in multiple phases, as is the case here, is one way of opening the horizon. 1. to use it to brainstorm on ANY and ALL kinds of similar cases within the experience of the group of learners, who then must account for as many elements of context as possible (including, for example, personality issues, social networks, etc. ), all of which allows us to discover the importance of these “social reality” issues. In other words, the learners fill in the missing context from the initial case by relating it to real, known contexts. This actually helps, on another level, to build group and individual confidence and to create the reflex of relating what would otherwise be considered as "canned wisdom" to their own very real human context. 2. to go back through a deconstruction phase and find out why each of the initial choices was proposed (i.e. what kind of reasoning lies behind them -- including the good reasons that lie behind faulty choices -- but also, what was the didactic strategy of the author of the question! – a process which often makes people think on a different and highly stimulating level). These are processes that work well within a group of learners in a seminar but aren’t easy to apply in an online discussion group, where the level of mutual knowledge and personal trust is impossible to assess. They also work well in CoPs (Communities of Practice), which is the major theme I'm now working on, in conjunction with informal learning. As a case in point of the deep compatibility between formal and informal learning, multiple choice questions -- the simplest of teaching tools -- are highly formal but can provide occasions for lively informal learning. We maintain, of course, that in all configurations people learn mostly from informal exchange, but -- as Jay Cross, the leading light on the subject, insists -- that formal learning can be structured in such a way as to encourage it. Unfortunately, that still rarely happens. How to make more explicit within the workplace the “knowledge” or skills he's hoping to acquire. How to foresee support within the workflow for what should have been learned in the formal phase (to avoid the highly predictable loss of formally acquired knowledge). How existing social networks (determined through ONA, Organizational Network Analysis) can be used to support, develop and share this kind of kind of knowledge in informal settings. This would probably lead to the definition of one or more CoPs, as well as the integration of Don into one of them. Of course, everything I’ve said above focuses only on the learning side of the problem, which certainly wasn’t the initial intent of the question. But I hope this serves as a demonstration of how something as formal as a Multiple Choice Question built around a specific learning point (in this case, how to manage work time in relation to personal and organizational goals) can stimulate creative contributions. That works, of course, only if the trainer’s attitude is also creative. Unfortunately, many trainers are still thinking in terms of pre-established “teaching points” and fail to recognize what I would call “lateral wisdom”. There's increasing reason, however, to believe the old school is losing ground and new approaches to learning -- first as a complex personal, social and professional goal, then as a process -- are truly emerging. The process has always been put first, but the priority of goals is finally being recognized, at least in some quarters. And that should lead to some unexpected new conclusions. If there is one thing that computer game designers and sports coaches, have in common, is that they realize the importance of practice. When one first looks at any good game/sim, one first looks at the flavor, the theme. One might look at what the levels are, or what the tasks/quests are that challenge people to accomplish something. But what is really being developed are underlying skills. The skills should be developed carefully, one or a few at a time. Then increasingly mixed and matched, allowing effortless use and improvisation. 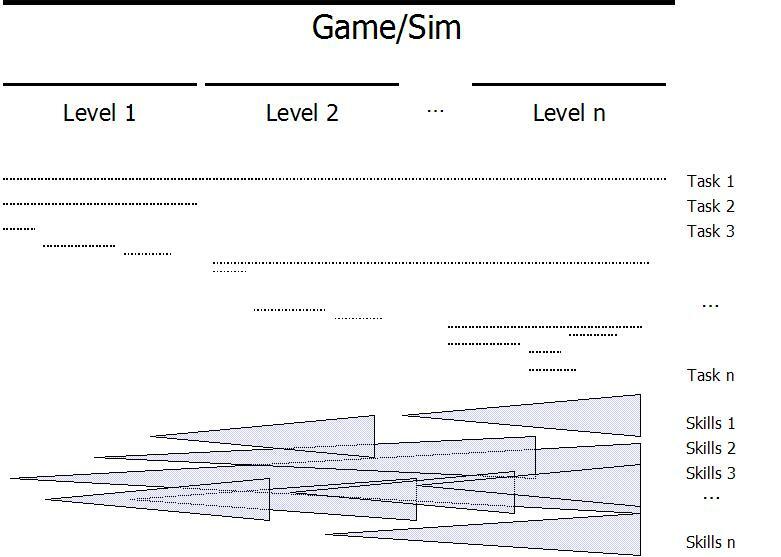 Sims, unlike their cousins role-plays for example, are interesting because they can uniquely fill this need to allow for systematic skill building through repeated practice in a controlled environment. This subliminity of practice is a sine que non of developing skills, both big and small. You don't have to use simulations, of course. But if you don't have practice built in, nine times out of ten, your program will be wasting everyone's time. Nothing is more boring than playing a computer game "perfectly," i.e. never failing. There are big failures, that can only be recovered using a "start-over" or "load game" option, and little failure, that require small a series of small corrections. Game designers need to spend a whole lot of time thinking about failure. What are different types of failures? What do they look like? How can one learn from them? Most training people, meanwhile, focus on one brittle path to success. Focusing just on success is faster, after all. One can cover more ground. It is easier and more "positive" as well. Failures are harder to research as well, as most SME's from sales people to engineers, hate thinking about and dwelling on failure. Ironically, of course, is that by sticking to the brittle path of success, so many training programs fail to achieve real behavioral transformation. I used to joke that PowerPoint was great if you only had ten minutes to put together a two hour presentation. However just because you can be simple in PPT, doesn't mean you have to. Moreover, homework and reports should be visual as often (if not more) than a stream of text. Visual work is often more rigorous, more succint, more complete, more challenging to authors, and better able to present interesting systems/relationships. I even hope visual content creators will think in terms of situational awareness and available options, whether for a historical figure or a potential customer. Here are some more dense charts I have created (and I apologize for the repeats for long terms readers of the blog). And techincally, I have found that PowerPoint is a very good authoring environment for producing charts that, as long as there are no pictures, are small (in size) when embedded in Word, and looks great when converted to a pdf. Teachers say the PowerPoint presentations are superior to the old-fashioned report in many ways. The assignments help students learn to synthesize large amounts of information into a clear, concise format; bring people, places, and ideas to life with pictures and sounds; and spark students’ interest and creativity. - full Boston Globe article here. 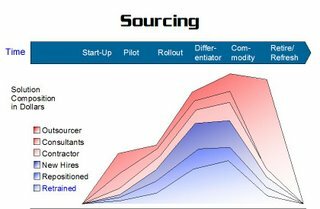 Some organizations have outsourced everything, a strategy that gave them the immediate ability to compete, but ultimately was too expensive and rigid. Other companies have tried to develop the capacity from within, only to find that it took too long and the window off opportunity passed. Many leading organizations have taken a hybrid path. They have begun with bringing in outside experts in different capacities and jumped start the process. While the project was being designed, they also began a parallel track of building an internal capacity, through training and hiring and shadowing. At some inflection point, the responsibility is shifted from external to internal. With that as a bit of background, here are the skills an organization will need to develop, in order. - The best simulations will be bought "off-the-shelf" and mildly, if at all, customized. 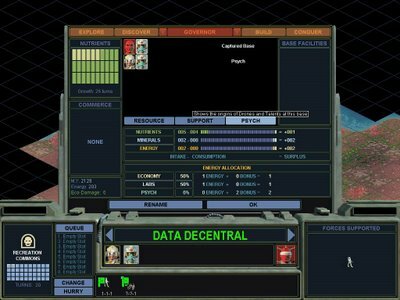 In some academic environments, commercial off the shelf (COTS) computer games will better meet a need than any educational simulation. Evaluation criteria include: learning objectives, cost, ease of deployment. - Measuring the effectivness of sims is critical to growing and perpetuating any program. - Deploying and scheduling sims is a bit of work, although should be less impactful than scheduling a physical class. - Coaches add pedagogy and motivation. 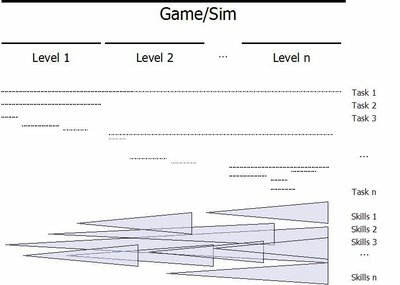 - Where to use sims is a critical , but it is an issue that can only be fully understood after a few real simulation deployments. - Build versus buy is a critical long term issue, although most organizations will want to leverage vendor experience initially. - Flash remains the first programming skill to need. - But most people use the more general Director and Flash. This is a contribution to Donald Clark's post; I just am not sure how to upload pictures in a response. 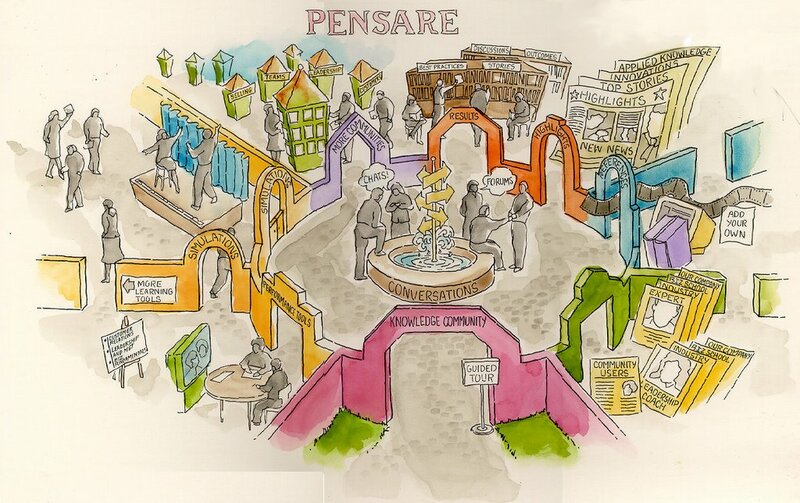 Readers of Simulations and the Future of Learning will recognize this picture, from a now-defunct e-learning company called Pensare. (I think this picture was done in 1998). I always loved how sweeping and ambitious it was. I would strongly encourage any reader to click on it and really look around. In fact, make a poster of it and hang it on your wall! Woonerf is the Dutch name for a "living street" in which the needs of car drivers are secondary to the needs of users of the street as a whole. It is a "shared space" designed to be used by pedestrians, playing children, bicyclists, and low-speed motor vehicles, becoming a public place for people instead of single-purpose conduits for automobiles. In a woonerf, vehicles may not impede pedestrians, who in turn may not unreasonably hinder the progress of drivers. This "self-reading street" has its roots in design principles that emerged in the 1970s. By dynamically blurring the boundary between the street and sidewalks, woonerfs combine innovative paving, landscaping and other urban designs to allow for the integration of multiple functions in a single street -- the neighborhood shares the road with slow-moving cars. This two-way interaction of people and cars becomes a virtuous circle as the busier the streets are, the safer they become; it seems that when you drive people off the street, that they become less safe. Good design gives spaces multiple functions, thus training departments that serve a single or limited set of functions, hinder the organization through their wasted spaces. 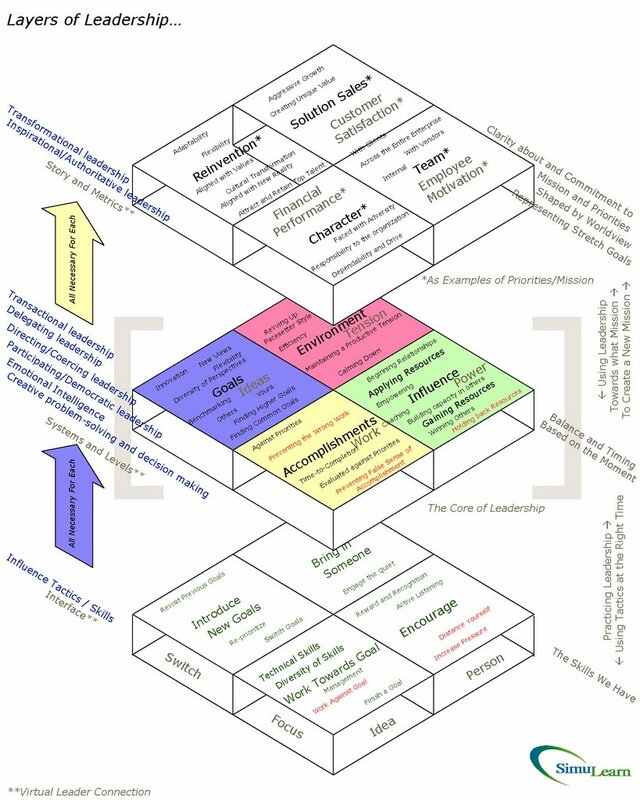 By linking the full gamut of learning processes into a "Learning Woonerf," the organization evolves from a linear learning function into a dynamic uninterrupted slew of learning connections. Thus, unlike a training department, which normally consists of a single space for training, a learning woonerf accounts for all the learning processes, from informal to formal -- the organization truly becomes a "learning organization" rather than just an organization that simply does training. 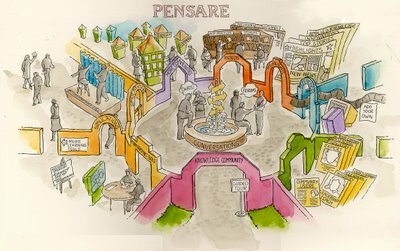 The act of interacting: is it interactivity and/or interaction? Historians of technology assisted learning -- if such people exist -- should by now have noticed that there have always been two alternating and possibly opposed trends. (I say possibly because I believe they can be reconciled, but I can see that the tendency to align with one side or the other in the aim of promoting a simple, saleable solution is as strong in the "learning industry" as it is in politics). I call these two contrasting (and potentially converging) trends interactivity and interaction. Apparently the general idea of interacting has convinced everyone that that's what technology is all about. That's where we expect our payback for supporting and investing in technology. But what does interacting mean? To answer that question we have to ask another question: "who is interacting with whom or with what"?. Beyond that (i.e. at the heart of everything) are the whys and wherefores, long before the how. The fact that no one seems willing or able to formulate clearly why we learn or why we should learn may explain some of the confusion. Depending on how you answer the question "interacting with whom or with what? ", you are likely to align yourself either with the humanists (salvation will come from dialogue, social learning, facilitated by flexible user-friendly networks) or the technologists (salvation can be found in computing power: expert systems, realistic graphics, animation and simulations). It's possible to embrace both, of course, but the trend is to opt for one or the other. 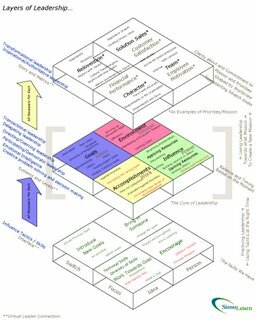 Personally I give priority to the humanist side, considering everything else to be a flipchart, an immensely valuable instrument that can provide specific services in the interest of improving and refining interaction. Giving priority is not choosing one against the other: it is simply taking a first step towards recognizing the importance of why rather than deciding in favor of one with whom or another. And priority should be determined by finality not by personal preference. 2) the visibility and marketability of finished products as compared to the unmarketable nature of processes to be learned, acquired, spread and applied by groups of people. Can the two worlds converge? The promise of the Web 2.0 seems to indicate yes, as we move away from a product and broadcast based model to one of dynamic networks that includes all forms of innovation. It's similar to moving from a Ptolomaic (mechanically organized) to a Newtonian universe (organized around gravitional cores, to borrow Tim O'Reilly's notion), while waiting for some future Einsteinian revolution (where gravity is still the fundamental force but where we all become relatives in the same family!). Ptolomy's planets and stars are still there to be observed as units, but they are no longer confined to their set spheres. Morevover, in a gravitational universe, we finally recognize their own principle of power and influence (gravitational force) rather than seeing them as simple objects placed in a set position in a stable and totally repetitive machine. The real hope of interacting -- at least for those who see the finality as dynamic and evolutionary -- is to escape the logic of pure repetition that is so pleasing to both the representatives of the establishment, where the function of instructing is more important than the reality of learning, and to the marketing people who want you to believe that using their product will solve all your problems. I believe the next couple of years will bring about some serious changes. A lot has already been accomplished, but below the level of most people's radar. Some things are now coming to light that will change our vision of the relationship between interaction and interactivity. More news on this in July! In some games, at the end of a level, in order to progress to the next level, the player has to accomplish a significantly more difficult challenge. This might include solving a complex puzzle, defeating a large number of "normal" opposing units, and/or one or more very powerful opposing units. These more powerful end-of-level units, sometimes actually physically larger, are called bosses. The most powerful boss is at the end of the last level of the game. These bosses may also have significance in the story, such as being a recurring antagonist; thus their defeat moves the story along as well. Bosses can cause significant frustration if they are too difficult, and almost a letdown if they are too easy. These bosses are primarily a game element, but they also require a player to demonstrate a certain level of competency that will be necessary for subsequent levels. So to sum it up, final exams are horrible and tension inducing, and bosses are exciting and satisfying. Go figure. I would like to thank Thiagi for allowing me to steal credit from such unknowns as Escher, Godel, and Bach, by dubbing a version of the infinite loop as an Aldrich loop. And to think, it all started at the Learning Circuits Blog. Full Motion Video (FMV) is a series of pictures shown in rapid succession to simulate coherent movement. It can also include an audio track. FMV can be live video, animated, or a combination. They can also have text superimposed. 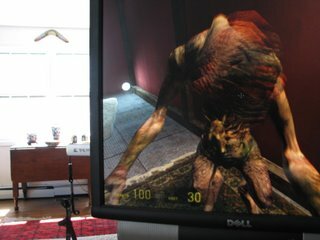 Full Motion Video can stand-alone, such as in a movie or television, or can be included as a cut scene in a computer game or educational simulation. show the end of a mission (where there may be multiple cut scenes, with the one chosen depending on the success or failure of the player). Full Motion Videos are judged by their production and artistic quality, sim, game, or pedagogical success, their frames per second, and their resolution. Usually, the FMV is of higher quality than the fully interactive portions. 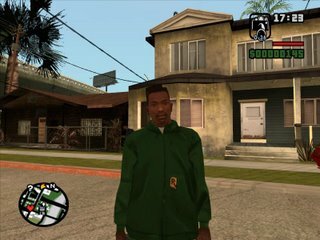 If the same game engine is used to render the cut-scene as the full game, and the cut-scene happens in the middle of a mission, black bars conventionally appear at the top and bottom of the screen to give a letterbox, wide-screen appearence, to differentiate it. Where there is interactivity in full motion video, it is primarily limited around multiple choice decisions, although sometimes in finding a hot spot on the screen, such as which of multiple people to choose or buttons to push. This interactivity can either launch more FMV, or change a condition in the mission. Some genres, such as interactive stories, are almost completely FMV. In many games including massively multiplayer, the player is represented with a "physical" presence in the game world or play space. The presence is called an avatar, and it can be the form of an abstracted person, vehicle, animal, or even a completely abstract token. The avatar is often the hero of a story that provides context and motivation for specific tasks/quests. 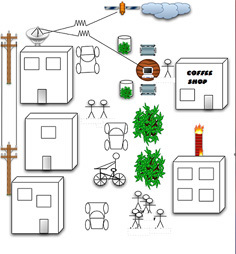 The location of the avatar on a map or the relationship to another unit can activate a context specific trigger, such as the sound of traffic if the avatar is near a road, or a context specific menu, such as the opportunity to talk if the avatar is near another character, or even use a copier if the avatar is near a copier. Often the object of a game is to get the avatar to certain key locations. 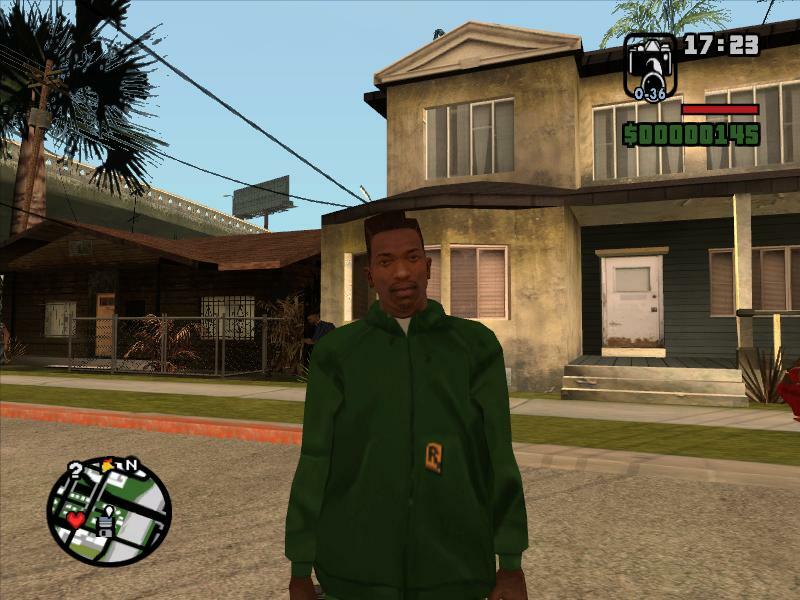 The perspective of the camera in a virtual world often is governed by the position of the player's avatar, either looking through the eyes of the avatar (first person), or "over-the shoulder" (third person). Being able to see your avatar during the course of the simulation enables more complex actions, and also creates a stronger sense of character. The avatar can be customized in many ways. The look of the avatar can be customized as game element to add levels of "buy-in." This includes changing wardrobe, face, even importing a photograph. The avatar has certain abilities, such as speed, health, and persuasiveness. The abilities of the avatar can often be increased or decreased, either permanently or temporarily, through various activities including found power-ups and the accomplishment of certain quests. In role-playing frameworks, the player might have choices in terms of development opportunities, such as between increasing sales skills or technical skills. The avatar might also have a limited or unlimited inventory, granting further capabilities. Avatars can also represent a person in a chat room or other communities model. In many tycoon games, god games, and strategy games, the player is not represented by an avatar. Asynchronous is a form of communication that is turn-based, not real-time. Letters and emails are asynchronous while phone calls and instant messenger chats are synchronous. Originally, asynchronous learning referred to a style of formal learning where the student and instructor has regular interactions, but the interactions were separated by delays of hours, days, weeks, or months. Most early post-office based distance correspondence courses followed this model. This "instructor supported" asynchronous learning is still used today, although technology has reduced the "turn-around" time for an instructor response more towards minutes, hours and days, rather than weeks or months. Increasingly, asynchronous also means a type of learning that is self-paced. 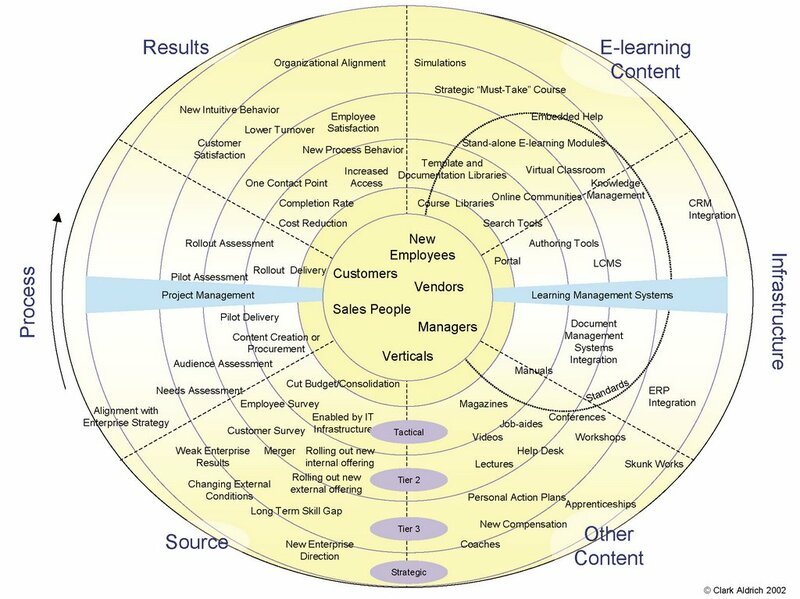 The subject matter expert, instructional designer, and technical designer create the content, such as a paper or web based workbooks or videos; the end-learner consumes the content, even completes quizzes, without tailored feedback from another human. In educational simulations in the future, end-learners will be working with other, computer-controlled people ('bots). And part of the success will be in doing that well. But how to work with 'bots is non obvious. When real humans are involved, you can just talk to them, either via typing or voice. This is OK, but has some of the problems of a role play, the biggest being that you can't practice over and over again. After one or two plays, the group gets into ruts. 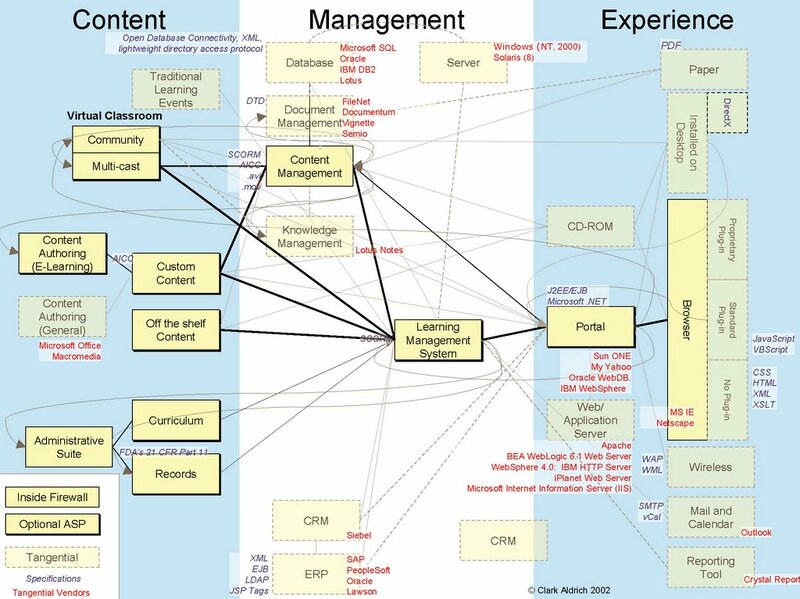 Completely open-ended interfaces also spiral out of control, most likely abdicating the intructional opportunity and responsibility of a sim to another layer of pedagogy. Branching stories, an educational simulation genre, has their place, which enables exploration but prohibit practicing by being fixed, rather than dynamic. So it is useful to look at some of the ways that computer games deal with the issue of directing bots in a dynamic environment. 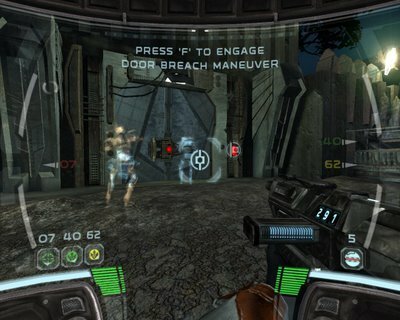 In those First Person Shooters, a player literally just points to a place and click on the "go there" button. The bot will defend or attack from that spot until dead. The only other option a player might have is "follow me," to alter either the previous "stay in that spot" command or the AI default behavior of shooting bad guys. 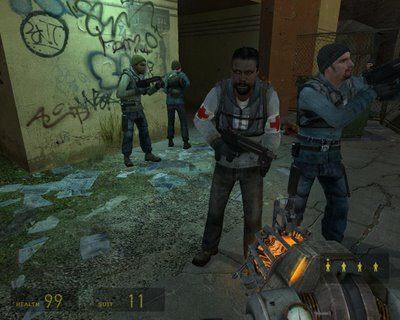 (Here is an example from Half-Life 2). Some squab-based shooters, like this example from Star Wars: Republic Commando, are similar, but you can ask your squad to do more complex moves. Same with Full Spectrum Warrior. 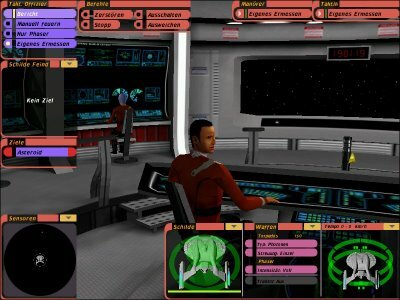 The Star Trek game Bridge Commander presents the player with dozens of possible commands to give his or her crew at any time, organized by the different crew members. The commands can be highly specific, or they can be high level enough to let the AI do at least some planning on their own. In Sid Meier's turn-based strategy game Alpha Centauri, the player can ask the AI to take control over many different functions, including base management. But the player can also tell the AI of any given unit or base on what to prioritize: exploring, discovering, building, or conquering. A player might prioritize "building" on bases near the center of their empire, and "conquering" on the bases near hostile empires. In all of these models, however, the player has absolute control over their 'bots. Because that is seldom the case, even with direct reports (except in parts of the military), I find the interfaces that deal with more realistic and complex inter-personals to be more useful and even predictive. Sid Meier's turn based Civilization IV requires that you negotiate with other leaders. You might make a transaction trade, where you have to figure out what is a good trade, but you also have to manage a long term relationship based on past favors and even aligned goals, such as religion and domestic agenda. Virtual Leader, in dynamic real-time, focuses on both interpersonal and idea based "moves" to shape a conceptual map of possibilities and commitments. Finally, in "The Sims," in both building relationships and now sales, players indirectly control bots by buying and placing objects to meet their needs, and creating opportunities to build common bonds. Ultimately, the opportunity of the interface is to shape how an end-learner looks at his or her strategic options in a situation. This is more true, and in some cases, more controversial, when dealing with characters rather than learning how to drive a car. As with the previously mentioned ownership and rules, directing bots will become increasingly explored and then standardized as educational simulation genres are developed and refined. When should instructors fire students (ask students to no longer participate)? This is a more challenging issue in the corporate and government world, where training is more thought as a service, or a requirement, than the academic. This gets more interesting when simulations are introduced, and there is real work required from a student, not just showing up. Courses can also be several sessions, not just one. Some people view percentage who finish the course as a critical metric. And any pure e-learning course never automatically jettisons a student. But if students weakly approach a course, they go through the motions but don't push, then that messes up any ROI and evaluations. The passive students also can become the biggest critics, resolving their own dissonance by lowering the view of the course instead of raising their own expectation for growth. First, thanks to all for the various takes on my very pragmatic but apparently provocative question. The simple answer appears to be that there's no available or known research on this topic! I hope there's more to come on the general question raised by Clark and would love to see Jay taken up on the offer of a public debate (more on that below). When Jay mentioned that informal learning is, in some sense, going back to basics ("the natural way"), I couldn't help thinking of Aristotle (even more than Socrates) who conducted learning “peripatetically”, i.e. by walking around and letting both his thoughts and the discussion grow and flow. Apparently, he also did a few "wandering" lectures (most of his extant writings appear to be the result of students’ notes on his lectures) but his school was known for moving and grooving. This is certainly a way of building doing into formal learning while at the same time specifically recognizing the value of informality. I would suggest that we would be wise not to be satisfied by simple opposites, such as studying or listening vs. doing, or formal vs. informal, but reflect on how these opposites are complementary and may, with a bit of judicious encouragement and clever organization, in some way blend (could this be the key to a new definition of blended learning?). Wu-wei refers to behavior that arises from a sense of oneself as connected to others and to one's environment. It is not motivated by a sense of separateness. It is action that is spontaneous and effortless. At the same time it is not to be considered inertia, laziness, or mere passivity. Rather, it is the experience of going with the grain or swimming with the current. Our contemporary expression, "going with the flow," is a direct expression of this fundamental Taoist principle, which in its most basic form refers to behavior occurring in response to the flow of the Tao. Even if we all agree that learning by doing is better than learning by listening to an authority, I would suggest that we need to think about how to integrate non-doing (an active, not a passive concept) into our learning strategies. That may even be one of the keys to understanding the meaning and processes of informal learning. In a recent book by Andrea Nightengale, Spectacles of Truth in Classical Greek Philosophy we learn that the origin of our all too familiar word theory, which our civilization has turned into a synonym for abstraction (and more recently, a highly pretentious form of abstract criticism) comes from Greek “theoroi” which originally meant “spectators” and implied active involvement (eye-witnessing) in games, including the notion of actually going to the games and interpreting them within a social context. A far cry from the way we use the term today. It’s true that Plato and Aristotle used the idea of participating in events, observing action and reporting on it as a model for contemplative study, which they subsequently called theoria. But the theoria they proposed implied a kind of communion with real physical events (Nightingale calls it “sacralized spectating”). Possibly a Greek version of wu wei. So what’s the point of all this? I’m suggesting that we may have a tendency to paint ourselves into linguistically and culturally determined corners that restrict our reflection on the very problems we all recognize. Perhaps we need a bit of lateral thinking rather than head-on debate, or rather, we need both, as they are the yin and yang of inquiry. Instead of looking for a winner between polar opposites let’s try to see what both doing and non-doing accomplish and how formal and informal complement each other. Is that beyond our powers? My final point: we still seem to assume that learning means assimilating or appropriating and its end product is possession, which reflects a highly individualistic view of learning and neglects both its social dimension and that part of knowledge that exists below the threshold of immediate and measurable awareness. While these metaphorical notions have value in describing aspects of the process, I'd suggest that we make a special effort to bear in mind that they are only metaphors and can only do part of the job. Wu wei and theoria are two examples of culturally unfamiliar notions that may help us to achieve a deeper level of nuance. First, more importantly, if anyone has a comment on research regarding the effectiveness of informal learning, please attach it to Peter Isackson's comment below. For me, the question is still, what is informal learning? For the sake of effectiveness and clarity, let's have those two conversations in parallel. New ideas first tend to bubble up in academic papers, magazine columns, blogs, or conference panels. Those who introduce the emergent idea are very detailed in critique of the last generation, very vague in their descriptions of what the actual solution would look like, and very enthusiastic about the promises of what the technology will accomplish. A lot of history analogies are brought in (we all get to learn about Dutch shipping patterns or the advent of the abacus), as well as out-of context quotes. There is often some graph of how large something is (dot-com companies loved showing how fast Internet access was growing as a justification for their own business model), no matter how indirectly related. The technology, if there is any, tends to be described in a pure environment, one without legacy systems. As far as the theory goes, it sounds good. And almost all who hear this new theory nod and think, “This makes a lot of sense. This could be big.” But there are no examples of it working the way it is described. At best there are precursors that are “sort of” similar. Or a wild success in a different industry is held up as a model. So, with that "dead elephant" out of the way, what is informal learning, anyway? I grant you that 95% (or some other, huge, made-up number) of learning happens outside of formal learning. 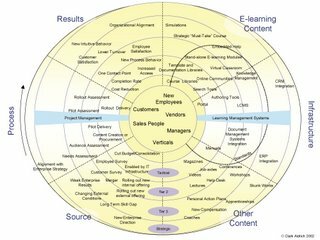 The "largeness" of that number (like the dot-coms referring to the largeness of the Internet) does not a case make, as plenty of knowledge management vendors can attest. And much more specifically, unless you work at Google or an IM vendor, what is your "value add" to it? I'm currently preparing a project for European funding aiming at the development of communities of practice as a structured way of fostering and deepening transfer and sharing of skills, knowledge and competency. Thanks to Jay Cross and others, we know that informal learning is ultimately much more productive of lasting effects than traditional formal learning, whether it be face to face, distance tutoring or the self-access variety of e-learning. (Should simulation be dealt with as a separate category? Clark and others will no doubt have an opinion, but that isn't really what concerns me today). Communities of practice are part of the response to the need to encourage informal learning and perpetuate its results. 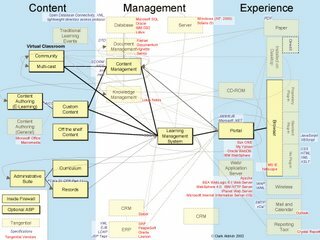 But even before any formal organization of this type is undertaken, it occurs to me that the actual amount of informal learning has increased significantly over the past few years, though in a completely unstructured and anarchic way, thanks to the culture of the Web: discussion groups, blogs, etc. as well as the recently acquired habit for many people of googling. Which leads me to pose a question to everyone involved in these things: are there any studies or reports indicating a recent increase in informal learning attributable to the culture of the Web? It's clear to me that the kinds of newly acquired habits we can see all around us in the use of the Internet must necessarily increase the opportunities for informal learning, but has their been any kind of identifiable trend or measurable effect that can be accounted for? All contributions to this debate are welcome (and will help me build my arguments for our project, for which I thank you in advance). 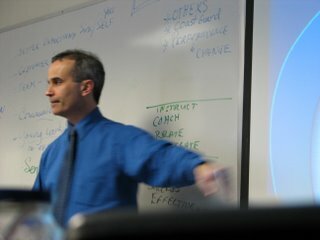 We talked about ownership as being a concept that will eventually be as ubiquitously interpreted and applied in future educational simulations as guns and vehicles are in today's computer games. Another building concept that educational simulations will necessarily have to deal with are rules. Games are based on rules. Rules in games can be learned and even exploited, but not really broken. In real life, and in educational simulations, rules will take on a different role. There will still be hard rules, rules that cannot be broken. Gravity comes to mind. But there will also be soft rules, like around speeding, or copyright protection, or ethics, or sexual harassment. The challenges can be two fold. If you are a grunt, you will have to decide when to break these rules, and what to do to prevent getting caught. This might be loosely akin to so-called "First Person Sneakers" like Thief, when players work hard to not get caught breaking in or out of a guarded building. If you are a manager or a team mate, however, than perhaps the challenge will be when to interrupt a well-running process in order to enforce rules. This is never easy. There are also meta-rules. Part of the sim experience will be when to actually change the rules. This might be challenging the primary variables against which you are evaluated. This might be destabilizing an entire industry, rendering old metrics obsolete (or at least trying to). This might be realizing there are better predictors of success than what is tracked currently by the on-screen display. Like so many of these simwords, I hope what makes them so interesting is that the concepts seem critical when looking at any real knowledge, but falls through the cracks when looking at lecture/paper models of capturing and nurturing.